[HollywoodInvestigator.com] Aging TV writers who believe they can no longer find work in youth-crazy Hollywood because they've been "graylisted" after turning 40 have hit networks, producers, and agents with a class action, age discrimination lawsuit. After interviewing plaintiff Burt Prelutsky about the issues of politics and ageism in Hollywood (see Bush Re-Election Destroys Hollywood Friendships), the Investigator interviewed attorney Steven Sprenger about the lawsuit. Hollywood Investigator: What is the name of this class action suit? Where was it filed and how long ago? Steven Sprenger: The age discrimination claims were originally filed as Wynn, et al. v. NBC, et al. in federal court in Los Angeles in October 2000. As the result of the federal court's ruling on motions to dismiss, the claims were refiled in 23 separate, but related, class action suits in Los Angeles County Superior Court (Complex Case Division -- I think they call it Central Civil West) in February 2002. Each suit has a different case caption. As a result of the state trial court's ruling on demurrers, the claims were dismissed. Plaintiffs filed an appeal, and the California court of appeal recently reversed and reinstated the claims. 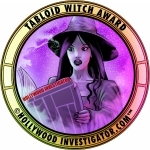 Hollywood Investigator: Who's the plaintiff class? Just TV writers, or are other job categories included? Steven Sprenger: TV writers who are members of the WGA and are at least 40/45/50 years of age. Hollywood Investigator: Can people who feel discriminated against still opt-in? Steven Sprenger: In federal court the claims were pursued as an "opt in" class action (known as a collective action). 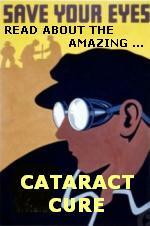 In state court the claims are being pursued as an "opt out" class action (and so persons don't have to opt in if we are successful on class certification); however, we are continuing to accept new clients who believe they have been discriminated against and would be happy to speak to such persons to discuss potential representation. Hollywood Investigator: What's the current status of the suit? When is it expected to go to trial? When might a final judgement be handed down? Steven Sprenger: The defendants have petitioned the California Supreme Court for review of the court of appeal decision. We expect to hear whether review will be granted sometime between late December and late January . No trial date has been set. In fact, no discovery has even taken place. My best guess is that the cases will be scheduled for trial sometime in 2006, but I caution that the defendants are masters of delay and obfuscation. Hollywood Investigator: How much damages are being requested? Might you also seek a consent decree or specific performance? Any chance of settling? Steven Sprenger: Most cases settle, but whether these cases will settle is an open question. Plaintiffs have not made any formal demands for damages and have not been provided with each defendant's hiring data. Based on the statistical data we now have, the total damages likely exceed $200 million. Plaintiffs are also seeking injunctive type relief (i.e., a consent decree) that would eliminate the existing barriers to the hiring of older TV writers. The consent decree may include, among other things, hiring goals, a formal application process and initial "blind" screening of writer applicants. Further details about the current state of the lawsuit can be found at Writers Case. Steven Sprenger is a partner at Sprenger & Lang, PLLC. He can be reached by email and has a website. 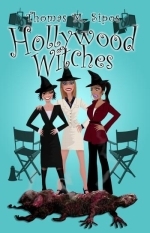 Read more about employment discrimination in the entertainment industry in Hollywood Witches.